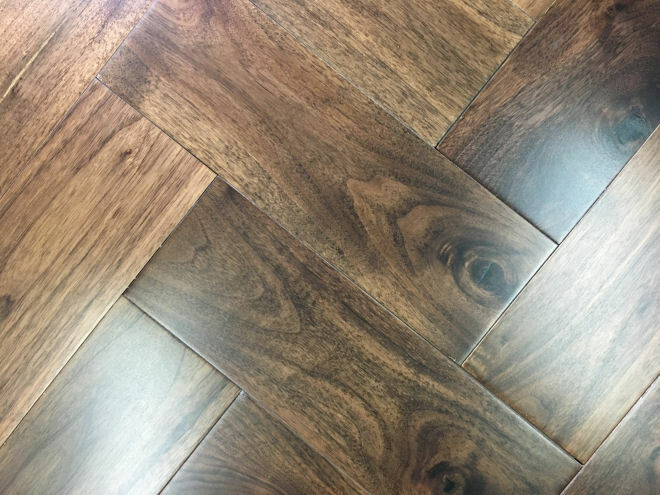 American black walnut in in a herringbone design with a hard wearing polyurethane lacquer finish. Suitable for most heavily used rooms in the home and can be used over under floor heating systems. Suitable for either fully bonding to a suitable sub-floor or laid floating on a wood floor underlay. 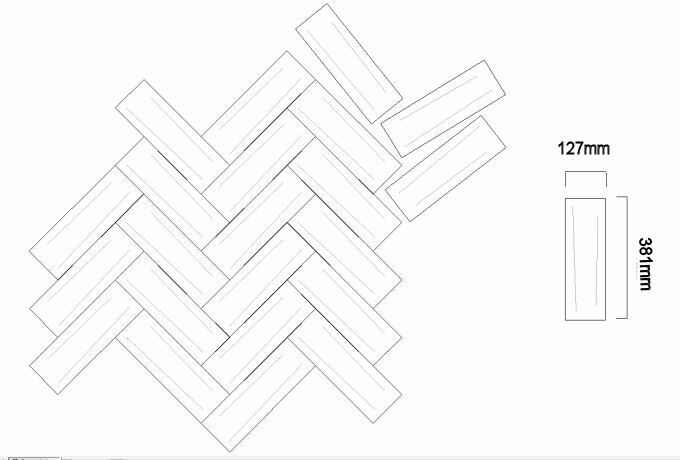 Can also be used to make Basket Weave, Checkers, Dutch etc.